Massimo Catalani working on "La casa dei pesci"
The Italian Ministry of Foreign Affairs and International Cooperation has placed design at the very core of its promotional strategy known as "Vivere all’Italiana”, which seeks to promote Italy’s cultural and production system through an integrated action combining culture, economy, Italian language and scientific research. The First Edition of the Italian Design Day was held on March 2nd, 2017, and involved up to 20,000 design experts in over 100 cities across the world. The very successful event was replicated, and the second edition of Italian Design Day was celebrated on March 1st, 2018 in 100 cities all over the world. This year’s topic emphasizes the relationship between “Design and Sustainability” from an economic, social, and environmental point of view. As the theme chosen for the Expo Dubai 2020 "Connecting minds, creating the future" suggests, the solution to the issues of our planet and the exploration of new pathways of development and innovation can only grow through the collaboration between different cultures and nations and greater awareness. In conjunction with such a theme, the network of Embassies, Consulates and Italian Cultural Institutes in the world offered a series of related programs involving architects, designers, artists, academics, business people, critics and communicators. Italian Design Day 2018 is really in tune with the theme selected for the 22nd Triennale International Exhibition, “Broken Nature - Design Takes on Human Survival”, which will take place from March 1 to September 1, 2019. 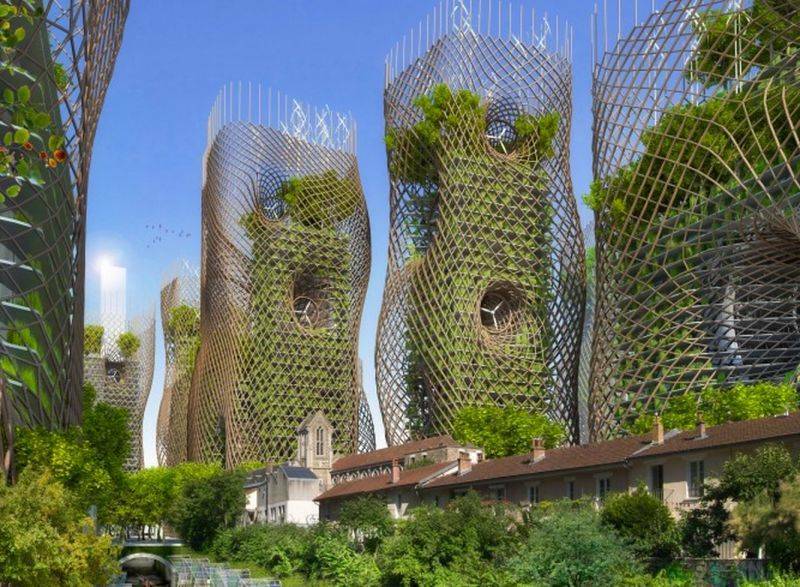 The theme, “Broken Nature”, aims to look at the future of the environment, which has been recognized by the Triennale as “crucial in our time”, and how design, architecture and art can take on climate change and inequality. One of the foremost experts on contemporary architecture and design, Paola Antonelli, Senior Curator of Architecture and Design at New York’s Museum of Modern Art (MoMA), has been chosen as the General Curator for the 22nd Triennale. On the occasion of the 2018 Italian Design Day, the Italian Cultural Institute of New York invited Paola Antonelli to speak about design and sustainability Mario Cucinella, architect, and curator of the Italian Pavilion at the next Biennale of Venice. The Consul General of Italy in Los Angeles, Antonio Verde, for the occasion said, “this second edition of the Italian Design Day highlights the Italian effort to create a style that marries functionality and aesthetics with respect for the environment.” The event at the Italian Cultural Institute in Los Angeles was celebrated with several presentations, the opening of an art exhibition, a panel discussion, and an award ceremony. 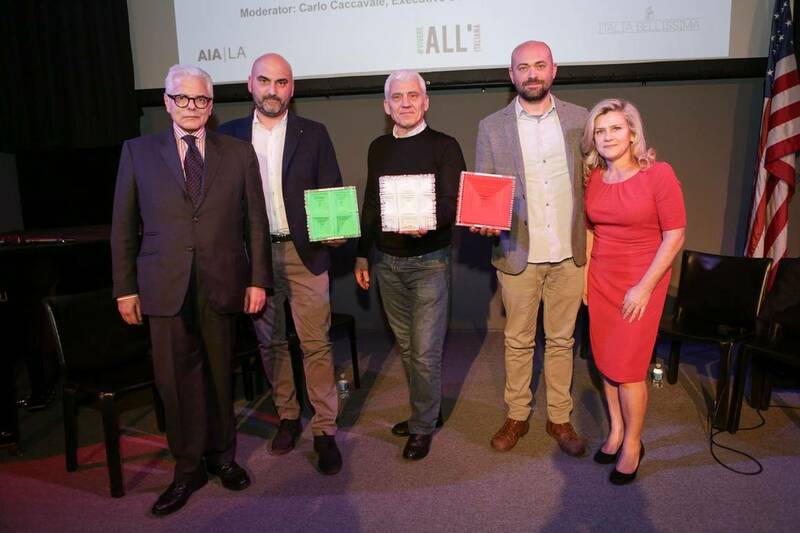 Massimo Catalani, one of the 100 testimonials chosen by MAECI as “Ambassadors” of Italian Design in the World, discussed the importance of the chosen theme and was among the winners of the IIC Creativity award, along with Andrea Capellino and Valerio Berruti. "What I like about this year's theme of the Italian Design Day and AIA, is that finally the architects are going back to deal with ecology,” told us Catalani during an interview. “We used to have a stable planet and with our vanity and thirst for success and power, we destroyed it. Today we consume twice the amount of the resources the world can give us. It is crucial we collectively halve the exploitation of the planet. And therefore, it is the architect’s duty to not only preserve the environment but improve it” he continued explaining to us. “With the end of the consumeristic and the industrialization model, and the advent of the digital era, architecture must embrace its responsibilities. An architect determines the happiness or the unhappiness of someone who lives in a place. We need to halve the planet's exploitation and as architects we need to have that in mind when we operate." 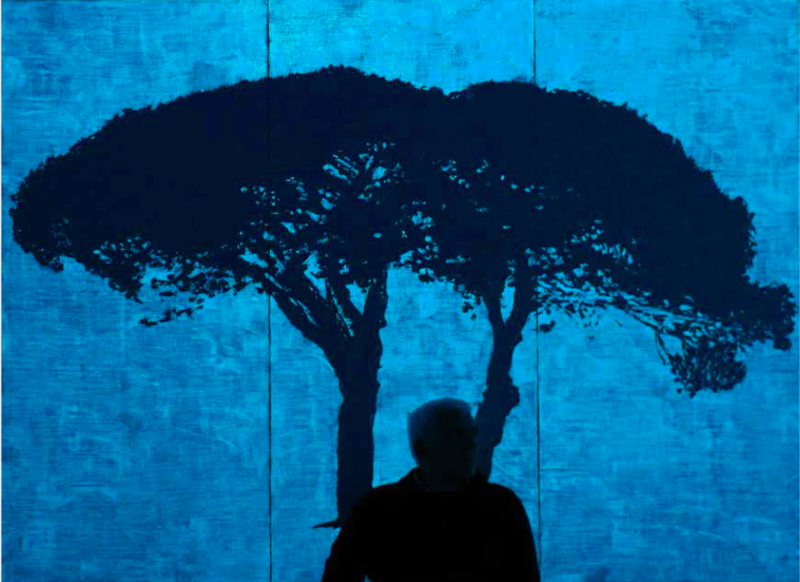 Trained as an architect, Massimo Catalani has chosen painting as his expressive form. 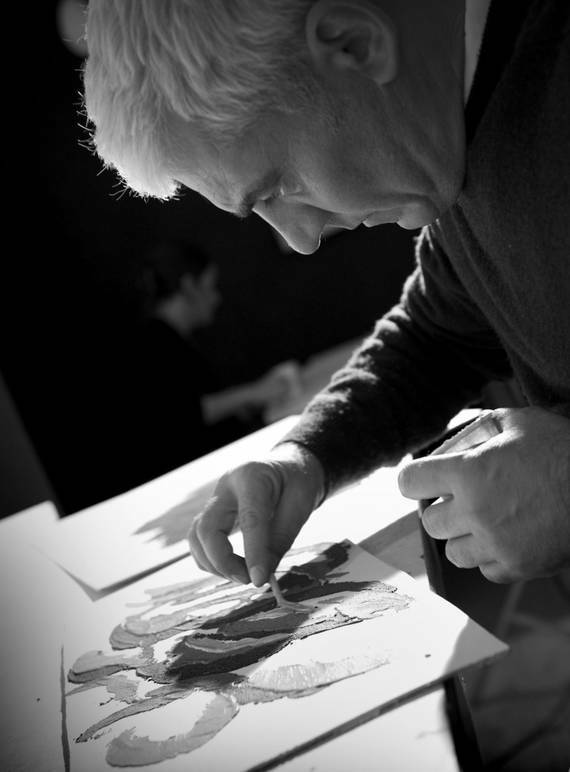 After his initial exhibitions where he presented large scale triptychs of chili peppers, plates of pasta with zucchini, roman artichokes, and prickly pears and one solo show in Rome, he exhibited his works in Italy, Belgium, Switzerland, and New York, where he presented “L.I.F.E”, Italy seen through painting of its food. Catalani has collaborated with Greenpeace for two campaigns against the use of GMOs in Parmigiano Reggiano and against nuclear power and for an installation at the Slow Fish Show in Genoa. 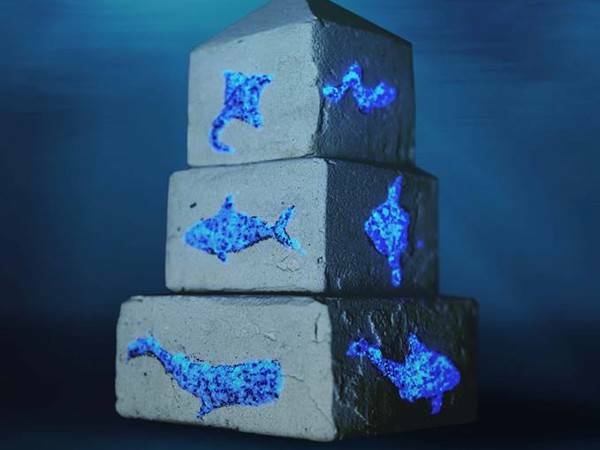 Catalani’s latest works focus on sea life and marine wildlife conservation, against illegal fishing, in fact, he is a keen supporter of protecting the environment and its wildlife. He worked on a project called “Casa dei Pesci di Grosseto,” where he sculpted a 10-ton block of Carrara marble to fight illegal trawling, unfortunately still practiced. 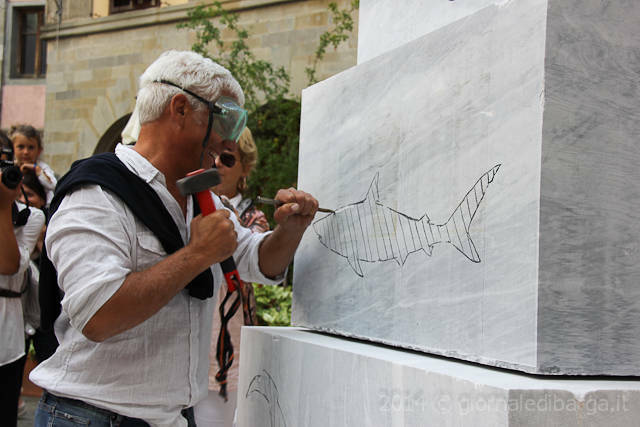 Catalani continues to create works that explore environmental issues.